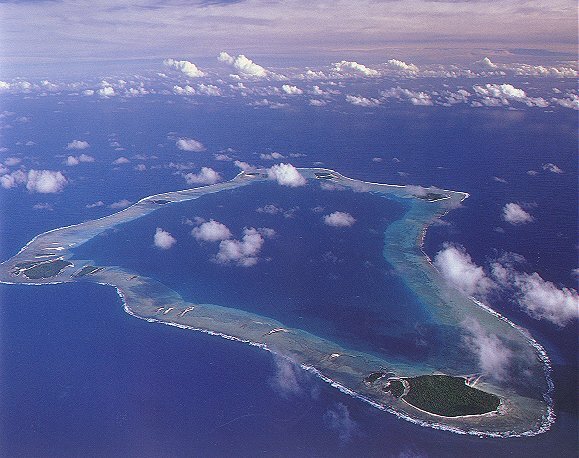 AN ATOLL with a land area of one square mile (2.6 sq km), Palmerston lies some 310 miles (500 km) north-west of Rarotonga. 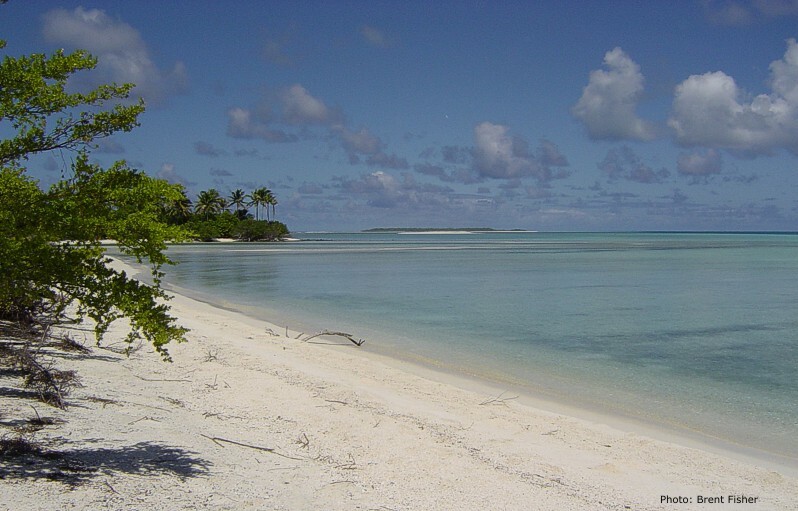 It is the only true atoll in the southern Cooks group. It consists of six sandy motu (islets) scattered around a coral reef covering 3,600 acres (1457 hectares) and surrounding a lagoon about seven miles (11 km) across. The highest point is a sandhill of 20 feet (6 m), referred to as "The Mountain". There is no safe entry for large ships but small craft can gain access from three boat passages. The island is subject to very strong winds, particularly in January and February. Savage hurricanes struck in 1883, 1914, 1923, 1926, 1931, 1935, 1942 and 1967. Palmerston was discovered by Captain Cook on June 16 1774 on his second voyage to the Pacific although he did not land until his third and final voyage in 1777. The island was then uninhabited. But, according to the missionary William Gill, 12 ancient graves were found there as well as several basalt adzes, evidence that there had been some pre-European habitation. Cook named the island in honor of the First Lord of the Admiralty, Lord Palmerston. Tradition has it that an ancient name for the island was Avarau, meaning "two hundred harbors". 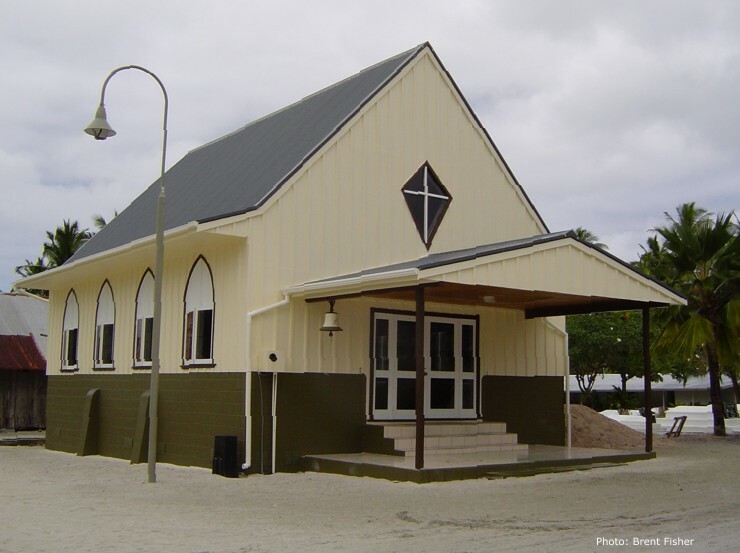 In 1863 a ship's carpenter and barrelmaker (cooper) named William Masters arrived from Manuae with two Polynesian wives and annexed the island, or at least, leased it from the British Government. He shortly added a third wife and from this harem he propagated a large family and settled in firmly as virtual king and autocrat of the community until his death in 1899. Masters is said to have originated from Gloucestershire, or possibly, Birmingham. All the islanders spoke excellent English with a distinct Gloucestershire accent. William's descendants now spell their name 'Marsters'. Two years after he died disputes rose about the succession of the leader. The British Resident at Rarotonga, Colonel W.E. Gudgeon, in 1901 appointed William's eldest son, Joel, agent to the British Resident and Magistrate for the island. Palmerston has no airport or airline services. The research vessel Bounty Bay carries visitors from Rarotonga to Palmerston as part of its Pacific Expeditions venture and specialises in diving, eco-tourism and filming.